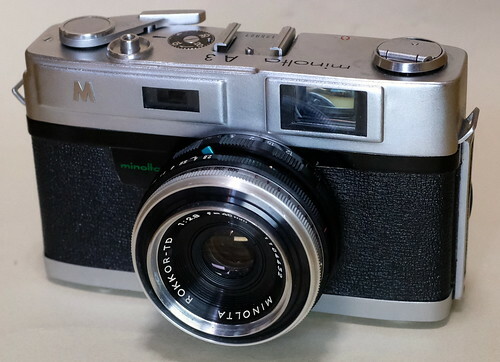 The Minolta A3 was a radical design change compared to the Minolta A-2. 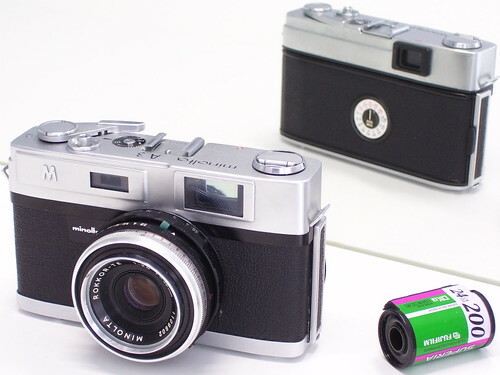 The camera body design of the A3 gave the model most of the following Minolta rangefinder cameras. The cameras top feature was its fully flash synchronized 1sec.-1/500sec. Citizen Optiper leaf shutter. It had a 1:2.8 50mm Rokkor lens and a bright-frame finder with super-imposed coupled rangefinder. The camera had a rapid film advance lever, a resetable exposure counter and a self-timer. This page was last edited on 22 June 2018, at 20:29.